Compromise on cost, not quality! As many of you may know, this year is LUKAS’ 150th Anniversary! Founded in 1862 by Dr. Franz Schoenfeld, LUKAS has been making professional paints ever since, and are internationally recognized as a top artists’ color maker. Using only the finest pigments, binders, and milling methods, LUKAS colors are used by professional and amateur artists the world over. Classic oil colors were made using the finest pigments in full concentration with no fillers. They were ground very well and used only the purest linseed oil as their vehicle. Over the years there has been a proliferation of student quality paints masquerading as artists’ colors, when in reality they do not produce the finished result of classical oil colors. It is our desire that our customer uses the highest quality art materials. So we have worked with world-renowned paint manufacturer LUKAS to be able to offer you 1862 Oil Colors at a price that anyone can afford. 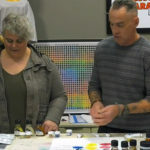 Please read the product reviews for 1862 Oils on our website from artists of all skill levels, professionals and educators. If you are an educator, please contact me and I can arrange samples for you of this wonderful paint. Clearly, we think LUKAS is such a great line and are sure you’ll love it! But don’t just take our word for it: Vincent van Gogh was a fan of LUKAS professional oil colors, as he stated in a letter to his brother Theo. 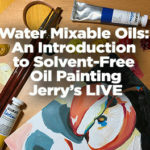 But van Gogh isn’t the only fan — since Jerry’s brought this revolutionary artist paint line to the US, customer reviews from artists of all skill levels have simply poured in! …and so many more online! 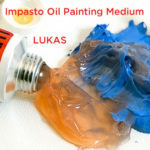 Have you used LUKAS 1862 Professional Oil Colors? Do you think you might now? Tell us your thoughts, regale us with your experiences, and share links to your art done with LUKAS oils in the comments below!